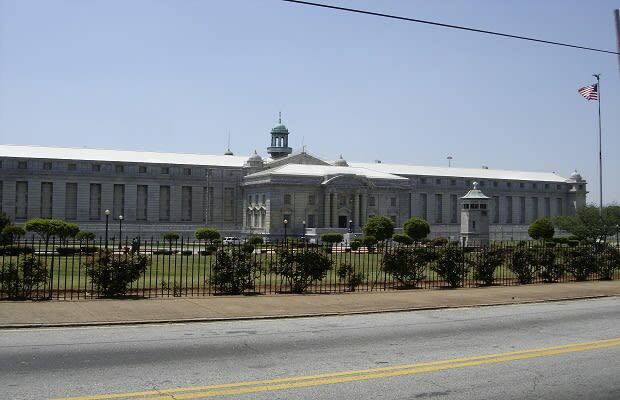 This medium-security prison for men opened in 1902 after President William McKinley signed off on the construction of a new federal prison in Atlanta. Along with USP Leavenworth and McNeil Island, it is one of the oldest federal prisons in the United States. For a time it was the largest federal prison, holding over 3,000 inmates. The main building was designed by the architecture firm Eames and Young, which also designed USP Leavenworth. During the 1980s, several Cuban refugees from the Mariel Boatlift who were not eligible to be released into American society were held at USP Atlanta. In 1987, after growing weary of their confinement and fearing deportation back to Cuba, the detainees started a violent 11 day riot, taking hostages and setting the prison ablaze. At least one prisoner was killed. USP Atlanta is used primarily as a transfer prison for inmates in between homes. Michael Vick was detained here before being sent to Leavenworth.